With forecasts for rapid urbanisation and an explosive population boom, Africa is a fertile market for Gulf economic growth. Major trading powers such as the EU, the US, and China recognise the opportunity in Africa and have approached the continent with clear goals. The approach of the GCC, on the other hand, has been less consistent and cohesive. While member states such as the UAE have enjoyed robust relations with countries across the continent for decades, GCC investment in Africa only began in earnest around the 2008-09 financial crisis and focused primarily on infrastructure development and food security. A clear GCC strategy is critical for a new era of trade between the Arabian Peninsula and Africa. Trade infrastructure is being built but a unified vision remains elusive. According to data from the Dubai Chamber of Commerce and Industry, Gulf companies and governments invested more than $30bn in infrastructure development in Africa in the decade to 2014, with sub-Saharan Africa receiving a further $2.7bn in foreign direct investment from the GCC in the first half of 2015 alone. A unified GCC approach to African trade would expedite the strengthening of the continent’s ties with the global economy and position the Gulf at the forefront of one of the world’s most promising economic stories. Africa is still rising. After the 2008-09 financial crisis, the narrative about Africa was exuberant, buoyed by high commodity prices fuelled in part by China’s insatiable appetite for growth. This narrative may have lost its sheen today given the pullback in many key commodities, but African economies continue to show promise. Recent GDP figures from across the continent suggest a short-term rebound is underway. But the real promise of the ‘Africa rising’ story lies in the future. According to the UN, Africa’s urban population will surpass 1.3bn by 2050 and the next generation of African citizens will be better connected and more mobile than any previous generation. These individuals will look to new opportunities around the world and build on existing relationships, making the historic connection between the Gulf and Africa a critical platform for expansion. 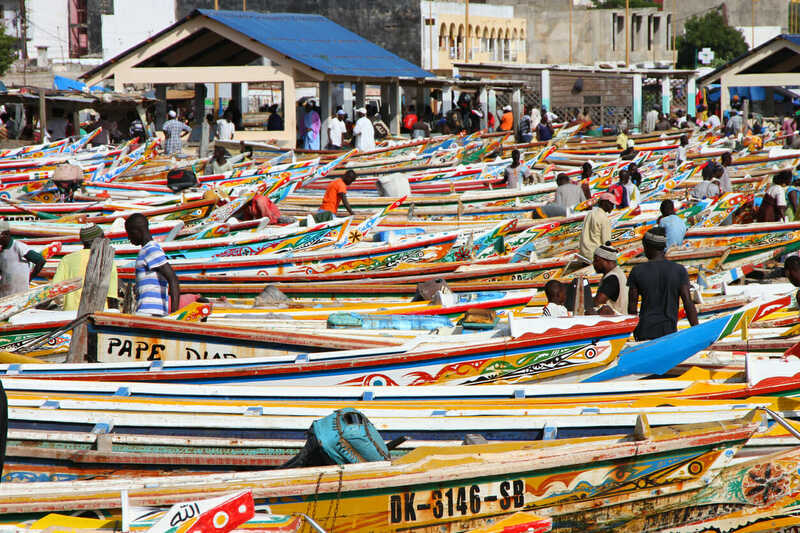 The relationship between Africa and the Gulf is wound up in centuries of shared history. Traditional Arabian sailing vessels known as dhows have long criss-crossed the Red Sea carrying everything from livestock to gold. In the process, people on each side of the narrow waters exchanged culture, language, and religion, giving rise to a rich common heritage. In the 21st century, lucrative links in the sectors of aviation, agriculture, and infrastructure still tie these two regions together. African migrant workers are flocking to job opportunities in the Gulf, modern-day dhows continue to criss-cross the Red Sea, and governments co-operate on issues of security and economic development. 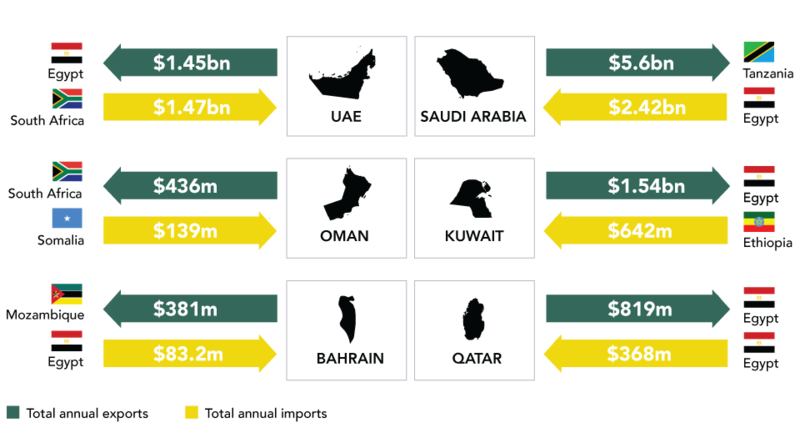 As a source of investment into Africa, the Gulf is one of the most active regions in the world with more than $11bn in capital investment in 2015, making it second only to Western Europe at $30bn. Given the volume of trade between the Gulf and Africa, a collaborative approach in certain economic areas such as agriculture would be beneficial to all parties involved. While the current diplomatic crisis with Qatar raises questions about long-term political unity in the GCC, the issue need not interfere with the economics of the Gulf-Africa relationship. Of the Gulf states, the UAE is forefront among its neighbours in African investment: Airlines, construction companies, and state-run investment funds are all taking advantage of the many business opportunities available – and reaping the rewards. The Dubai Chamber of Commerce and Industry has been actively courting the continent, opening four offices there in recent years. When it comes to announced greenfield investment in Africa, the UAE is second only to China, with capital investments reaching $14.9bn between 2015 and 2016. Furthermore, with its role as a strategic meeting point for people from around the continent, Dubai has emerged as an important hub for African businesses seeking stronger global connections. Dubai is one of the few places able to facilitate business and logistics for the emerging African middle class, especially for those in Kenya, Nigeria, and South Africa. As such, the city is a critical link in the Africa-rising narrative. According to the Dubai Chamber of Commerce and Industry, Dubai’s non-oil trade with Africa has increased more than 700% since 2002. From 2008 to 2013 alone, bilateral trade between Dubai and Africa grew by 141% to reach $25bn. Dubai is also becoming a hub for multinational companies: US automotive manufacturer Ford recently chose Dubai as the head of its African operations. Dubai also hosts the Africa Global Business Forum every year, which is well attended by top business leaders. With Dubai as its fulcrum, Gulf countries can maximise future impact in Africa. In a global economy where sluggish economic growth has become the norm, Africa’s chronic underdevelopment translates into major potential. 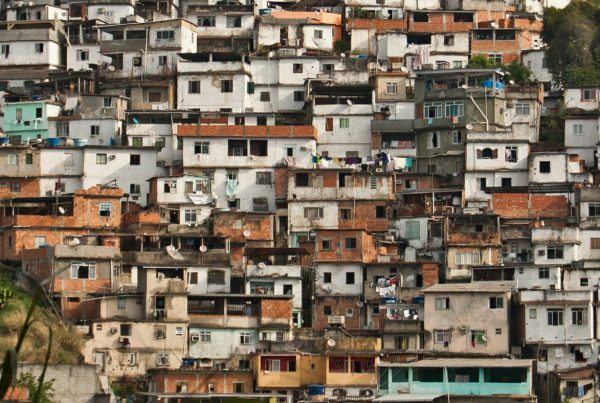 The continent has the world’s most rapid urbanisation rate, and, by 2034, is set to have a larger working-age population than both India and China. In the next eight years, consumer spending in Africa is set to rise by $1trn. Africa’s importance is not lost on the rest of the world, and the uneven relationship that has developed between the GCC and Africa leaves room for mutual growth. While individual members of the GCC, such as the UAE, enjoy flourishing trade connections, the GCC as a whole lacks a cohesive strategy for trade with Africa. Instead of having individual countries compete with each other – and sometimes getting in each other’s way – the regional bloc is uniquely positioned to embrace a comprehensive Africa strategy. It is a win-win situation: Not only would Gulf companies benefit from better access to African markets, they would also offer tried-and-tested solutions to the development challenges facing these emerging markets. Executed properly, it could be a model example of South-South co-operation. But it needs to happen quickly – before this particular dhow has sailed. The UAE, in particular, has become a gateway of sorts for multinational companies looking to do business in Africa. “The UAE has served as a central logistics hub through which to support more and more of our customers across the African continent,” Peng Xiongji, the UAE general manager of Chinese telecoms giant Huawei, told The National in 2014. This trade is facilitated by both air and sea trading routes between Dubai and Africa. Africa Express Airways is not the first airline that comes to mind when one thinks about the African aviation market. Using an old Alitalia MD-82 aircraft, African Express Flight 557 connects the Horn of Africa with Dubai. Its route, Nairobi to Dubai via Mogadishu, Hargeisa, and Berbera, highlights Dubai’s critical position as a gateway to some of Africa’s most remote places. But it is not merely remote destinations that define Africa’s budding aviation connections to the Gulf. Africa is one of the fastest-growing aviation markets in the world, with passenger numbers expected to increase by 303m over the next 19 years. Given its proximity, the GCC is a veritable African aviation hub and Africa is a critical market for all three major Gulf airlines: Emirates Airline, Etihad Airways, and Qatar Airways. Emirates flies to 26 African destinations, and the African market accounts for 10.4% of its revenue. The carrier also operates a freighter service to 15 destinations. Qatar flies to 27 destinations on the continent and, in its 2016 annual report, identified Africa as one of its largest growth markets in the medium term. Etihad flies to 10 African destinations and has bought a 40% ownership stake in Air Seychelles, which offers additional routes to the continent. Given the relatively poor air connectivity from and between most African cities, Gulf airlines have become essential for those looking to travel both within and beyond Africa. Emirates, for example, is now one of the most active international airlines in South Africa, accounting for roughly 10% of international seat capacity, and is the only non-African carrier operating in all three of South Africa’s major air hubs. In addition to the major players, FlyDubai, a low-cost airline also based in the UAE, has a significant footprint in Africa. Despite falling returns in other markets, FlyDubai sees growth potential in Africa and plans to increase capacity to the continent. The low-cost carrier has 12 destinations in Africa and recorded 3.5% growth between the UAE and Africa from 2015 to 2016. Africa’s infrastructure needs extend far beyond traditional construction and transport links. 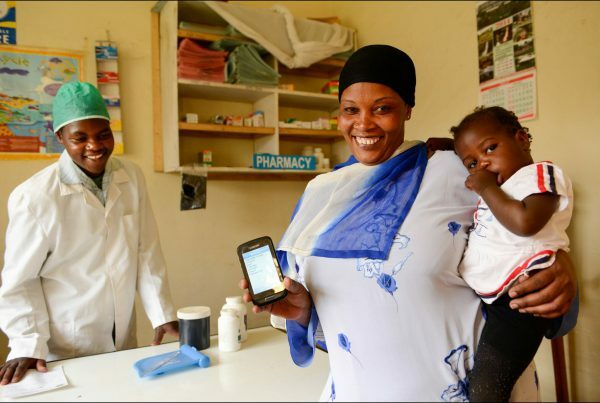 Mobile internet and solar power occupy the minds of officials across the continent. UAE-based telecommunications firm Etisalat has led Gulf investments in mobile connectivity across Africa. The company’s Nigerian operations have long been held up as a model of Gulf investment, although the investment’s future has recently faltered due to bureaucratic hurdles. Etisalat’s declining position in Nigeria, however, does not overshadow the enormous potential for other African markets. The company still operates mobile networks in 14 countries across West and North Africa, and serves an estimated 69.7m subscribers. Unsurprisingly, the UAE is the main GCC investor in Africa in terms of energy as well. In 2016, Phanes Group, a UAE solar energy developer, struck a deal with Nigeria to build three solar plants in the country. 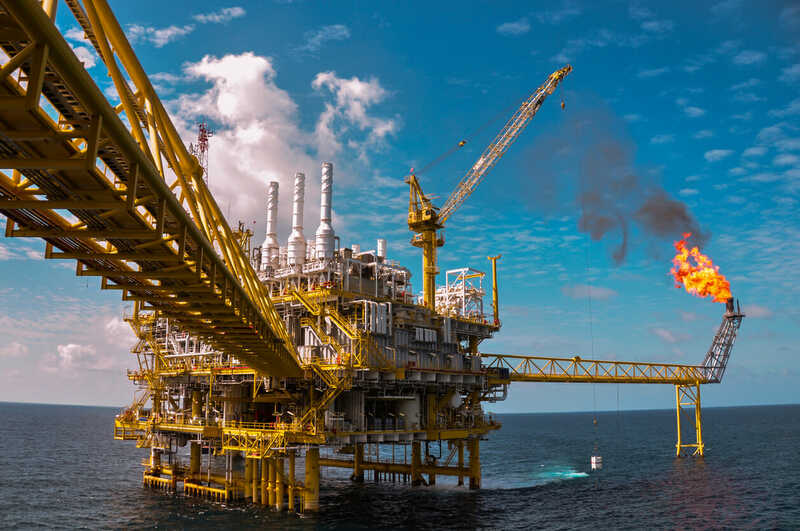 Other UAE energy companies such as Abu Dhabi-based Taqa have operations in West Africa assisting in the development of hydrocarbon resources. In 2013, Masdar, a subsidiary of Abu Dhabi’s Mubadala, announced it would create Africa’s largest solar photovoltaic plant in Mauritania. Encouraged by impressive returns, Masdar later announced in 2016 it would expand the capacity of the solar project by more than 38%, making the UAE one of the major players in Africa’s solar power industry. Maritime traffic through Africa’s ports is expected to increase dramatically in the next few decades from 300m tonnes in 2017 to more than 2bn tonnes in 2040. 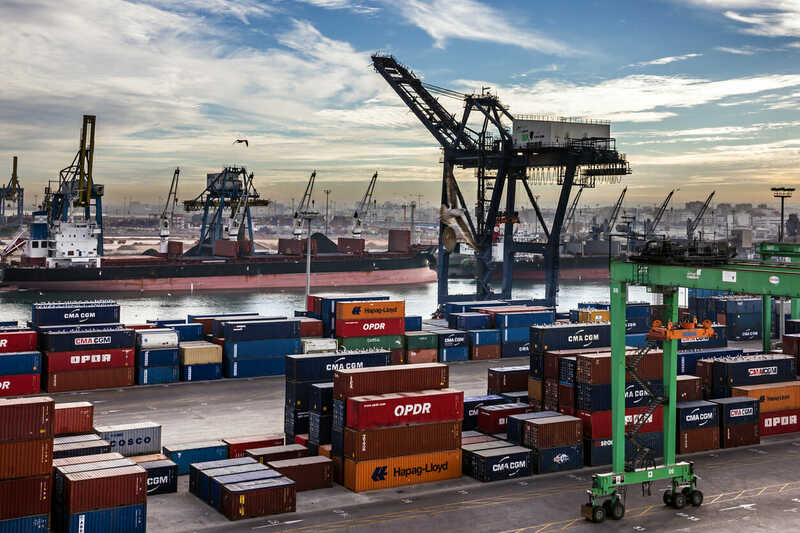 This is largely a result of increased consumer demand and improved internal infrastructure; however, Africa’s ports are woefully ill-equipped to deal with the projected volumes, and coastal countries are scrambling to upgrade facilities. This presents opportunities for Gulf companies, especially Dubai Ports World (DP World), which currently manages eight marine terminals in five African countries – Egypt, Mozambique, Djibouti, Senegal, and Algeria – and has stevedoring operations in four ports in South Africa. In 2016, DP World announced a $442m deal with the self-declared Republic of Somaliland to upgrade Berbera port, and it plans to bid for the new $5bn Lamu Port Project in Kenya. Meanwhile, Dubai-based P&O Ports bagged a similar deal worth $336m with the semi-autonomous region of Puntland to upgrade the Bosasa port. Gulf countries and private companies, especially from Saudi Arabia and the UAE, lead investment in African agriculture. This is partly an attempt to guarantee food security for the region, especially as global food prices increase. It is also, as a Saudi official explained, aimed at “encouraging Saudi investors to utilise their resources and experiences abroad”. 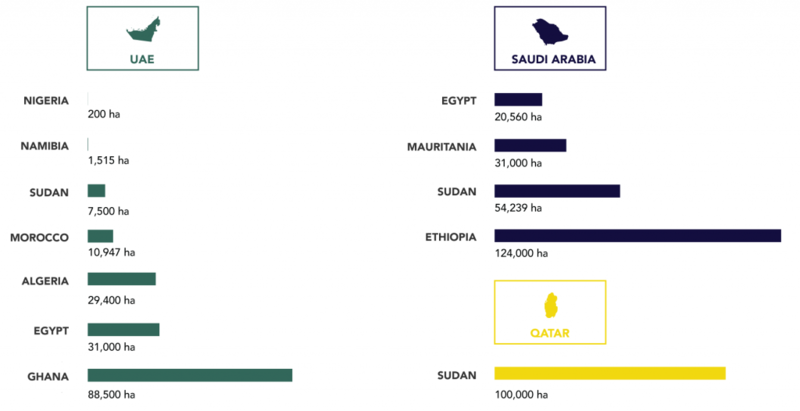 Such rhetoric seems to be paying off: In the mid-to-late 2000s, GCC member states purchased more than a third of the 20m ha of farmland sold globally. The UAE has bought more than 400,000 ha in Sudan, Qatar has purchased 40,000 ha in Kenya, and Oman and Bahrain are also expanding their foreign agricultural operations. After the 2008-09 financial crisis and the dip in hydrocarbon prices, land acquisitions slowed as GCC member states focused on improving the supply chain at home and forging partnerships with multinational food companies. However, investments continue through Africa, and the agricultural trade between the GCC and the continent remains a critical source of food. GCC investment is critical for food production in Africa as well. According to the International Food Policy Research Institute, African countries need $37bn per year in agricultural investment. Gulf investment is again a win-win for the GCC and Africa. According to Iggy Bassi, co-founder of Global Agri-Development Company based in the Netherlands, Gulf states could “set up a research institute, for instance doing research into drought-resistant seed varieties, they could go into bilateral partnerships with food-producing countries from a real position of strength”. Large-scale farmland purchases are seen as long-term investments that may not be immediately cultivated. GRAIN, an international NGO monitoring large-scale land acquisitions all over the world, has recorded 22 such farmland acquisitions from Gulf countries as of August 2016. In the most ambitious deal, Abu Dhabi-based Al Dahra Agricultural Company agreed in 2015 to invest $1bn as the first phase of a $10bn agricultural project in Sudan’s fertile Al Hawad Valley. Africa boasts some of the world’s best tourist attractions. For Gulf travellers seeking new adventures, there is plenty to discover: Extraordinary landscapes, remarkable wildlife, and energetic cities. At the same time, Africa’s increasingly affluent middle class is drawn to the Gulf’s luxury hotels, exotic cuisines, and tax-free shopping. Despite the potential there is still limited tourism between African countries and the GCC; both markets represent a small fraction of the industry. For example, in May 2016, only 360 Saudi tourists visited South Africa, which is the continent’s most popular tourist destination. This figure was down 65.1% on the previous year. Meanwhile, arrivals from sub-Saharan Africa made up just 4% of the UAE’s tourist visitors in the first six months of 2017. That said, tourism from North Africa is much stronger: Egyptians alone accounted for 5% of tourist visits to the UAE in the same period. These relatively low numbers suggest there is plenty of room for growth. However, one issue Gulf policy-makers need to address is visas, which make African access to Gulf travel extremely laborious. Mauritius, for example, is the only African country whose citizens do not require a visa prior to arrival in the UAE. When it comes to security in Africa, Gulf countries have one obvious and overriding interest: Safeguarding the maritime trade route along the Red Sea and Gulf of Aden. Some 4.8m barrels of oil per day pass through the Suez Canal, and 3.8m through the Bab Al Mandeb Strait – the two chokepoints to the north and south. Any disruption to shipping on this route has an immediate and disastrous impact on Gulf economies. Thus, security concerns of Gulf countries in Africa are largely focused on the coastal nations surrounding the Red Sea: Egypt, Sudan, Eritrea, Djibouti, and Somalia. Their proximity to the Gulf makes any instability an immediate potential threat. Such threats are not idle rumours. In the late 2000s, a sudden spike in piracy off the coast of Somalia endangered Red Sea shipping. In 2013, the World Bank estimated Somali pirates were costing the global economy in excess of $18bn, as ships were forced to change route or take on additional security and insurance. Saudi Arabia, the UAE, and Qatar have all made the Red Sea region and the Horn of Africa foreign policy priorities in recent years. Saudi Arabia has invested billions in President Abdel Fattah El Sisi’s government in Egypt; displaced Iran as Sudan’s primary ally in West Asia, a relationship that includes close financial and military co-operation; and concluded an agreement to construct a military base in Djibouti. For its part, the UAE established a naval base in Eritrea’s Assab port in 2015, and has secured an agreement to build another facility in Berbera in Somaliland (this project is separate from DP World’s contract to upgrade the commercial port). Qatar, with a smaller military footprint, has attempted instead to play a neutral role. It took the lead in mediating conflict in Sudan’s Darfur region, culminating in the 2011 Doha Document for Peace in Darfur; helped restore diplomatic relations between Eritrea and Sudan; and settled a border dispute between Eritrea and Djibouti. Until July 2017, a 450-strong force of Qatari peace-keepers patrolled the Eritrea-Djibouti border to enforce the settlement. 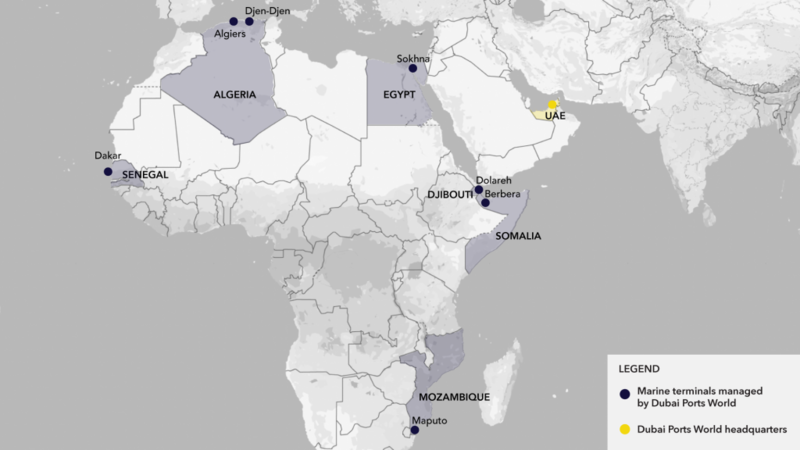 More broadly, Gulf countries have attempted – with varying degrees of success – to recruit the support of African countries in their own diplomatic and military disputes. Major examples of this include the Saudi-led coalition fighting in Yemen, which includes Egypt, Morocco, Senegal, and Sudan; and the recent Gulf-Qatar crisis, in which a number of African countries have come out in support of the Saudi and Emirati position. GCC countries provide significant development assistance to a number of African nations. The bulk of this goes towards funding for infrastructure projects in the form of financial aid or soft loans. According to the most recent study prepared by the Dubai Chamber of Commerce and Industry, Gulf development agencies provided $15bn for African infrastructure projects from 2004 to 2014, of which 65% went to North African countries. Examples of these projects include a $175m grant from Saudi Arabia for a new hospital and medical school in Morocco, and a $60m grant from Kuwait to Egypt to develop its natural gas infrastructure. Gulf states also contribute to humanitarian relief efforts in Africa, usually on an ad hoc basis. Some recent examples include the UAE’s pledge of $136m to Somalia in response to the near-famine conditions. Generally, however, Gulf states prefer to focus within their own region when it comes to disbursing development funds: Only 12% of all Gulf humanitarian aid goes to Africa. It is difficult to discuss African economic potential without addressing China’s role. As many African countries established economic independence from their former colonising countries in Europe, the Chinese moved swiftly to establish trade relations on a country-by-country basis. With China’s seemingly insatiable need for raw materials to facilitate its own growth, the relationship between China and Africa was a seemingly robust one. However, the days of Chinese-funded infrastructure projects carried out by Chinese firms across Africa appear to be limited. This is not to say that the relationship is ending – it is merely transforming. Chinese small and medium-sized enterprises (SMEs) are now moving into African markets along with multinational companies such as Huawei. In the race to help build Africa’s knowledge economy, China is busy expanding the reach of its technology sector across Africa. Chinese smartphone applications such as WeChat have already been exported to some African countries. Chinese companies are versed in low-cost mobile headsets and have ample experience working in restricted regulatory environments. As such, they have the potential to lead in African markets that rely on this type of technology. 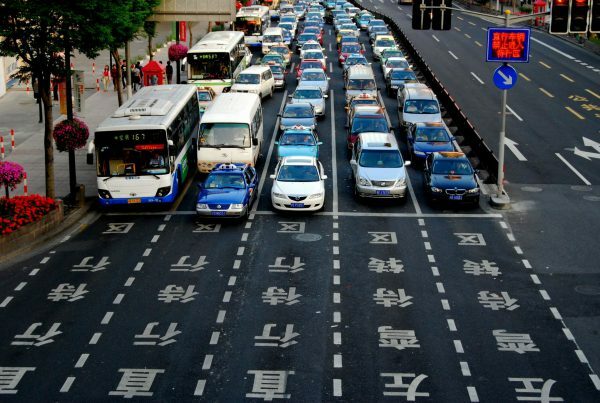 China’s footprint is still unavoidable in Africa, but it is changing and lending space to new players. China still leads the world in greenfield investment in Africa. According to data from the African Economic Outlook, the UAE is the second-leading investor after China in announced greenfield investment. In 2015-16, China invested $38.4bn while the UAE invested $14.9bn, ahead of the US, Italy, and France. There are several opportunities for increased GCC economic engagement in Africa. Aviation competition among the major Gulf carriers and other airlines such as Turkish Airlines and Ethiopian Airlines should continue to keep the market competitive. With passenger numbers set to increase over the next decade, aviation will continue to be a vital area for increased engagement with GCC member states. Despite low oil revenues, there remains opportunity for Gulf actors to develop downstream oil infrastructure on the continent. Additionally, investment in food security programmes will continue to provide a platform for investment in irrigation and agricultural techniques. This is particularly needed given the relative lack of investment in the agricultural sector in some African countries. Outside of the traditional industries that have defined Africa-Gulf relations, there are several new opportunities that could push the relationship forward. The UAE and Saudi Arabia have doubled efforts to build a knowledge economy that will outlast hydrocarbon revenue generation. There have been substantial Saudi and Emirati investments in companies such as Uber, while homegrown tech companies such as souq.com, which was recently purchased by Amazon, have demonstrated the quality of local startups. In African cities such as Cape Town, Nairobi, and Lagos, venture capitalists are pouring money into African startups. As these startups evolve into fully fledged companies requiring foreign talent, cities such as Dubai will be ideal locations for satellite offices. Both Africa and the Gulf are only in the earliest stages of their knowledge economies and have much to gain from an increased partnership. As noted several times in this report, the GCC as a whole still lacks a coherent vision. To take advantage of the economic opportunities Africa has to offer, GCC unity on trade is critical. Given the current political climate in the Gulf, this could pose a short-term challenge to deeper GCC unity; but the long-term benefits outweigh the costs. A united GCC in Africa will help also mitigate security concerns: For example, the recent dispute over Qatar risks destabilising already fragile Horn of Africa countries, with the potential to negatively impact other Gulf investments. A cohesive front would also allow Gulf countries to negotiate better trade deals and market access on the same footing as larger rivals such as the EU, US, China, and India. In the absence of a Gulf-Africa forum (akin to China’s Forum on China-Africa Co-operation, or the Africa-European Union Summit), GCC countries are missing out on opportunities to improve both diplomatic and commercial ties with the continent, thus forcing Gulf companies to work harder for African business. The GCC is ideally positioned to play a crucial role in Africa’s next economic chapter – if it can get its own house in order first. Today it is almost impossible for members of the emerging middle class in Kenya, South Africa, or Nigeria to avoid interaction with the Gulf. Whether one is flying Emirates on a holiday to Thailand or Skyping a colleague in Abu Dhabi from a Saudi-built apartment, these connections are increasingly commonplace and will only become stronger as Africa continues to rise. From aviation to food security to humanitarian assistance, the relationship between the Gulf and Africa is multifaceted and full of growth opportunities. Yet, the same can be said about other economic powerhouses such as China or the EU. The challenge then for the GCC is to create a unified trading bloc that can better compete for valuable African market share. While the UAE is clearly a nexus state on the Southern Silk Road, it also has emerged as a global nexus state of trade. It has become a node of connectivity linking Europe and the Americas to Asia and Africa, and vice-versa … That’s why UAE-Africa ties matter so much to the continent. It could have a meaningful impact in connecting Africa to a wider world, while also playing a modest role in investing in the infrastructure needed for Africa’s growth. Gulf countries will continue to invest in and grow their own cities and knowledge economies, so the connection between the Arabian Peninsula and Africa will continue to expand. Deeper GCC integration that could enable a more strategic approach to African trade would be a boon for all parties. But time will tick forward with or without deeper integration. Even so, the more Africa rises, the more benefits will return to the Gulf. Simon Allison is the Africa editor for South Africa’s Mail & Guardian and a research consultant for the Institute for Security Studies. Joseph Dana is the editor-in-chief of emerge85 lab.